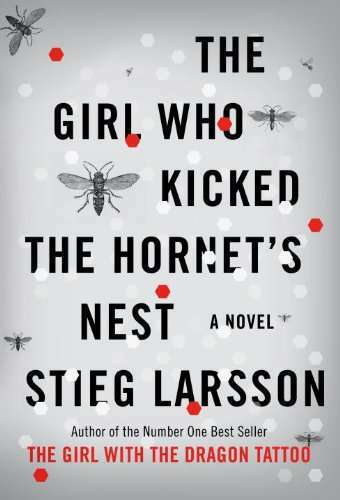 The Girl Who Kicked the Hornet's Nest is the third and final novel (although their have been rumors of a fourth manuscript) in Stiegg Larsson's must-read trilogy. If you have not read the first two books in the trilogy, The Girl with the Dragon Tattoo and The Girl Who Played with Fire, you should head to the book store and get started. Stiegg Larsson starts off in this novel where he left off in The Girl Who Played with Fire and doesn't stop for air. He picks right up with all of the characters, which can be a little frustrating in the beginning, especially if you had to wait for the third book to come out. The many investigators and police officers are hard to keep straight. Once I realized that I couldn't keep them all straight and just kept reading, I was hooked. When I reached Part 2, I could not put the book down. I have to say that I was concerned as to how Larsson was going to end this series when I picked up the book, but I was very impressed with how he masterfully tied all the loose ends.